Reusable launch system From Wikipedia, the free encyclopedia RLV redirects here, for the World War II German Reichsluftverteidigung (RLV) see Defence of the Reich A reusable launch system (or reusable launch vehicle, RLV) is a launch system which is capable of launching a launch vehicle into space more than once. This contrasts with expendable launch systems, where each launch vehicle is launched once and then discarded. No true orbital reusable launch system is currently in use. The closest example is the partially reusable Space Shuttle. The orbiter, which includes the main engines, and the two solid rocket boosters, are reused after several months of refitting work for each launch. The external fuel drop tank is typically discarded, but it is possible for it be re-used in space for various applications. 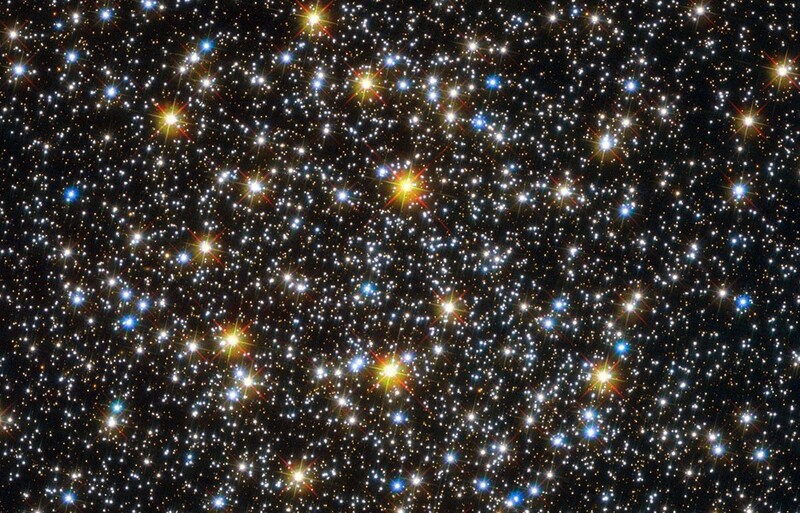 Orbital RLVs are thought to provide the possibility of low cost and highly reliable access to space. 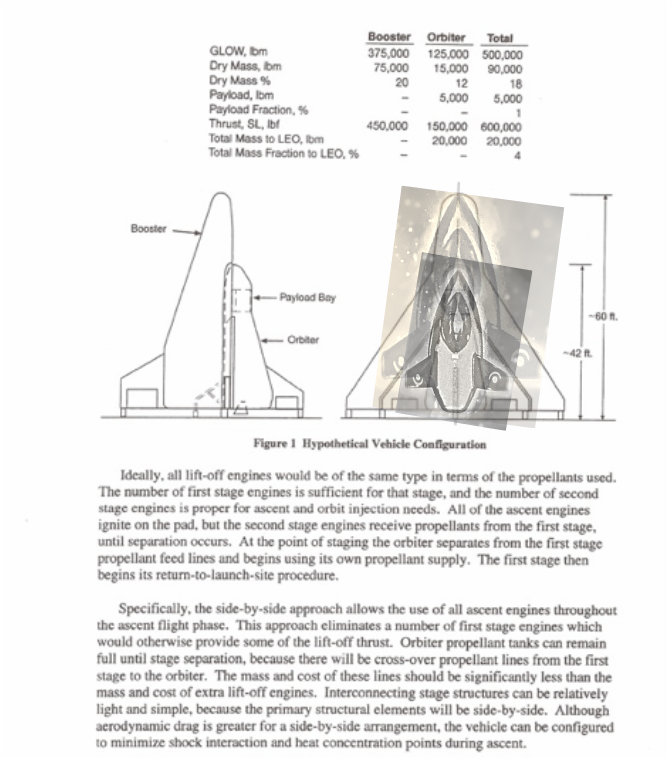 However, reusability implies weight penalties such as non-ablative reentry shielding and possibly a stronger structure to survive multiple uses, and given the lack of experience with these vehicles, the actual costs and reliability are yet to be seen. Many approach and landing scenarios have been studied. The most direct way to land is through the use of the lifting function of the wing applied to a horizontal landing. 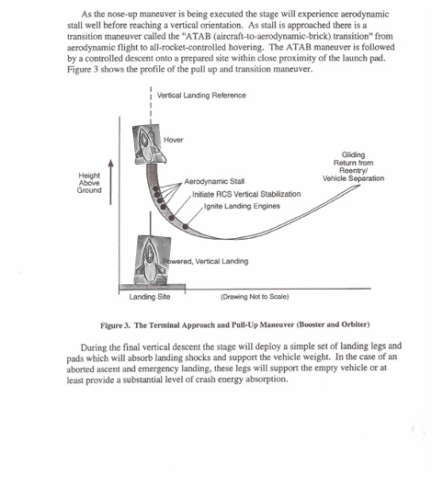 Another choice is the implementation of a vertical landing after transitioning to vertical flight. Although this is more complicated, it is the preferred way to land. Horizontal landing would require a long landing runway, complex landing gear, a wing large enough to allow a reasonably slow landing speed and government controlled facilities or an excessively large investment in ground facility developments. Vertical landing allows precision placement of the vehicle within a small controlled area, minimal handling and movement in preparation for the following flight and minimal turn around time between flights. 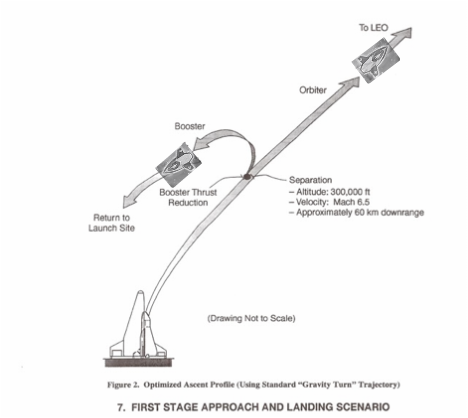 Thus, we have selected the following approach and landing scenario.